Josephus, JW 2.13.3 (cf. Ant 20.8.10) (254) When the country was purged of these, there sprang up another sort of robbers in Jerusalem, which were called Sicarii, who slew men in the daytime, and in the midst of the city; (255) this they did chiefly at the festivals, when they mingled themselves among the multitude, and concealed daggers under their garments, with which they stabbed those that were their enemies; and when any fell down dead, the murderers became a part of those that had indignation against them; by which means they appeared persons of such reputation, that they could by no means be discovered. (256) The first man who was slain by them was Jonathan the high priest, after whose death many were slain every day, while the fear men were in of being so served, was more afflicting than the calamity itself; (257) and while everybody expected death every hour, as men do in war, so men were obliged to look before them, and to take notice of their enemies at a great distance; nor, if their friends were coming to them, durst they trust them any longer; but, in the midst of their suspicions and guarding of themselves, they were slain. Such was the celebrity of the plotters against them, and so cunning was their contrivance. Their terrorist activities helped to bring on the revolution. The random assassinations lead to a distrust among the aristocracy and a general fear from the ruling class, leading to a breakdown of social order. The Zealots were a radical group that believed the Maccabean revolt was the “golden age” of Israel and struggled to start a revolution against the Romans. There may be no New Testament examples, although Simon, one of Jesus’ disciples, was called the “Zealot.” Luke 6:15, Acts 1:13. It is unlikely that this term means that Simon was a member of this party, which was not formally a party until A.D. 67-68. A possible New Testament reference is the disciple of Jesus, Simon the Zealot. Is this disciple a political zealot, a revolutionary? Most New Testament scholars think not, preferring to take the word “zealot” in this context as spiritual zeal. Personally, I wonder about the word “zeal” having a modern sense of “spirituality” in the context of A.D. 30 Galilee, where only twenty years beforehand Judas led a revolt against Rome which might be described as “zeal.” Notice also, there are two men named Judas out of the twelve disciples. Judas was a patriotic name going back to Judas Maccabees, the last successful Jewish rebel against foreign power. It is possible these men were born during the activities of Judas the Galilean. The Jewish Christians living in Jerusalem were therefore in a dangerous place. If they appeared to be too open to Paul’s Gentile churches they ran the risk of real persecution from these more radical elements, yet they clearly preached Jesus was the Messiah, that he was crucified and raised from the dead, and that he was coming back soon to render judgment (on the temple officials, the Romans, etc.) and re-establish Messianic Kingdom expected by the prophets. I am quite used to seeing stories about the historical Jesus in the media around Christmas and Easter. It is a good time for the History channel to trot out reruns of Secret Mysteries of the Bible or The Bible and Aliens. And to be honest, I occasionally watch these shows for entertainment. They are usually thin on details, but at least they have a few experts I know. Mark Goodacre, for example, served as a consultant on the BBC miniseries on the Bible (2013) and the more recent The Jesus Mysteries for the National Geographic channel. But not all holidays need a historical Jesus tie-in. Yesterday was April 20, which for a variety of reasons I will not go into here has become an unofficial national pot smoking day. It used to be a few stoners would giggle when you said 4/20, but now the day has crawled out of the dim light of the hydroponic rooms and into popular media. Even Jesus has been dragged into this made-up holiday. The website Core Spirit ran an article yesterday which claimed “Experts suggest that cannabis may have been a key ingredient in the “anointing oil” used by Jesus and his followers in rituals for healing.” The article cites Naturalnews as saying “the original Hebrew version of the recipe in Exodus (30:22-23), contained over six pounds of kaneh-bosem.” Since kaneh-bosem sounds a little like cannabis, the article suggests Jesus used cannabis in his healing rituals. Jesus anointed the sick with the oil described in Exodus, so he was using cannabis a natural remedy for illness. Although he did spit on blind people on a couple of occasions, Jesus never anointed anyone with oil in the New Testament. 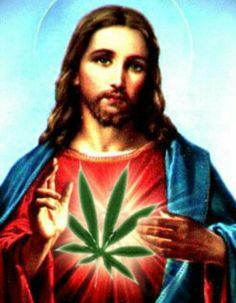 Although the article does not say “Jesus smoked pot” (which would be an anachronism), it is a re-hash of a 2003 article in the Guardian which itself is almost entirely drawn from an earlier High Times article “Was Jesus a Stoner?” by Chris Bennett. This is not really expert support for a rather startling claim. Blah. This is not at all accurate (obviously). The noun קִנָּמוֹן refers to cinnamon and בֹּשֶׂם is perfume made from a balsam tree. The standard lexicon for Hebrew Bible studies, the Hebrew Aramaic Lexicon of the Old Testament identifies the these words clearly and provides their derivation. Although the combination is usually translated “aromatic spices,” cinnamon and balsam cannot be confused with cannabis. The article concludes that “the Christ–cannabis connection debate is perhaps an example of an overdue reexamination of some of our collective beliefs that have been clouded by propaganda.” It then goes on to condemn the failed War on Drugs. Core Spirit focuses on “Alternative and natural medicine” as well as “myth , magic and spirituality.” The expert they cite to support the idea Jesus may have used cannabis in his healing is Carl P. Ruck, professor of classical mythology at Boston University. Ruck is in fact a professor at Boston University, but he is more interested in magic mushrooms than history: “he identified the secret psychoactive ingredient in the visionary potion that was drunk by the initiates at the Eleusinian Mystery.” Seriously, look him up on Rate My Professor. Anyone with minimal critical thinking skills will reject this article, although possibly critical thinking skills are a bit dull on April 20. Prior to the Jewish revolt, at least some Jewish writers thought the people of Israel would be reassembled as the twelve tribes of Israel. The Diaspora will end and Jews will return to the Promised Land. Isaiah 40-66 anticipated a kind of new exodus. God would call his people out of their long exile among the nations are gather them back to the Land promised to Abraham. The newly assembled Israel would rebuild the cities populate the Land as they should have after the Exodus. The land will be central to the true worship of God. Isaiah 40:1–2 (ESV) Comfort, comfort my people, says your God. 2 Speak tenderly to Jerusalem, and cry to her that her warfare is ended, that her iniquity is pardoned, that she has received from the Lord’s hand double for all her sins. Jerusalem is like a woman who has lost her husband and is in need of comfort; she is inconsolable at the loss of her spouse. 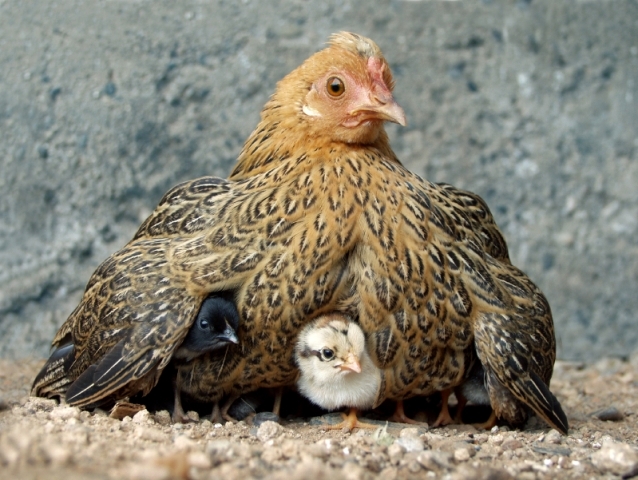 God will comfort her with “tender words.” The word “to comfort” is a strongly emotional term. It is used in Gen 37:35, after Jacob learns Joseph is dead he is so upset no one is able to comfort him. The word also appears in Job 2:11, the three friends attempt to comfort Job after his losses. The means by which this comforting occurs is through “tender words” (NIV), literally, “speak to her heart.” Heart is more than emotions, this may indicate that some were intellectually devastated, in doubt, wondering of the Lord would still keep his covenant. But this word has strong connotations of emotions, almost seduction. Her hard service is over. The word for service is used for the levitical cycle of service, it is a regular time with well-defined beginning and end. But it can also mean military service, therefore many translations have “her warfare is over.” The suffering of the exile is a “prisoner of war” situation, the time seen by this text is when Israel is safe and no longer under the threat of warfare. Her sin is paid for. This is a phrase which appears in the passive in connection with blood sacrifice (Leviticus 1:4; 7:18; 19:7; 22:23, 25, 27); the idea is that the Lord has accepted the exile as a sacrifice as a payment for the nations sin. She has received a double from the Lord’s hand for all her sins. This does not mean that she has been double punished, but rather that the Lord has paid the penalty twice over. These opening words in the second half of Isaiah are therefore a prophecy of the gathering of the exiles back to the Land of Israel. When the exile finally ends, God will do something which will atone for Israel’s sins which resulted in the Exile in the first place. Although this prophecy begins to be fulfilled as early as 539 B.C., when the exile officially ends, Israel is not completely restored to Jerusalem and they are never free from warfare – nor could we say that the sins of the nation were paid for at that time. There hint of the ultimate fulfillment comes from Daniel 9, where we are told after 70 years in captivity that the exile will continue for “seventy sevens of years,” or 490 years altogether. This is what the Jews of the first century were looking for when John the Baptist and Jesus announced that the Kingdom of God was near. As N. T. Wright has said many times, Jews living in the first century knew the prophecy of Daniel 9 was nearing an end and they were fervently looking forward to the gathering of Jews living in the Diaspora to return to Zion and worship in Jerusalem once again. Even in Sirach (who was no wide-eyed apocalypticist), there is a hope for this gathering of all the tribes to the land of their inheritance. Closer to the first century, The Psalms of Solomon give evidence of this belief as well. Sirach 36:12–16 (NRSV) Crush the heads of hostile rulers who say, “There is no one but ourselves.” 13 Gather all the tribes of Jacob, 16 and give them their inheritance, as at the beginning. 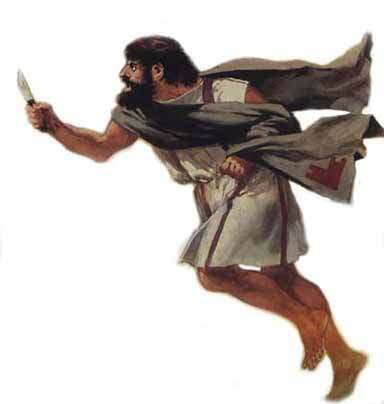 Sirach 48:10 (NRSV) Sirach 36:12–13 (NRSV) Crush the heads of hostile rulers who say, “There is no one but ourselves.” 13 Gather all the tribes of Jacob. Psalms of Solomon 11:2-4 Stand on a high place, Jerusalem, and look at your children, from the east and the west assembled together by the Lord. From the north they come in the joy of their God; from far distant islands God has assembled them. He flattened high mountains into level ground for them; the hills fled at their coming. It is therefore little wonder people were interested in a Jewish teacher who selected twelve disciples and talked of the soon-to-appear Kingdom of God. Jesus sent the twelve out to gather the lost sheep of the house of Israel to a lonely place where he fed them with miraculous bread. Jesus was intentionally enacting the gathering of Israel out of the Exile during his ministry. Neither Jew nor Greek completes Dunn’s three-volume project encompassing the New Testament. Jesus Remembered (2003) concerned Jesus and the Gospels, Beginning from Jerusalem (2009) covered the book of Acts and the letters of the New Testament up to 70 CE. This final volume tracks the later history of the early church (for the most part after 70 CE), including both canonical and non-canonical sources. Dunn ends his investigation just prior to Irenaeus, approximately 180 CE. The title for the volume is significant since it signals Dunn’s conclusions about what the early church was like in the period after the first Jewish revolt. As Dunn puts it, whatever the early Christian movement was in the forty years between Jesus and the Jewish revolt “it was not yet ‘Christianity’” because Christianity as a distinct entity was not so-named until the early second century CE (4). During the time period covered by this volume both Judaism and Christianity were in the process of defining themselves, sometimes in contrast with one another. How can this development be traced? Scholarship has attempted to define “early Catholicism,” or traced the development of canons and creeds, or examined the way early Christian writers defined themselves in contrast to heretical sects within the larger Judeo-Christian movement (Hellenistic mystery cults or developing Gnosticism, etc.). Dunn sketched the character of the first generation of Christians in the first two volumes of this series and now proposes to trace the streams of early Christianity through the complicated period between 70 and 180 CE. This is an important (and often overlooked) insight. Early Christianity was not monolithic; there was no one document or one writer which fully encapsulated ideal Christianity. There were multiple streams within the orthodox river so that what it means to be “Christian” was indeed contested. It is possible to evaluate the development of early Christianity by accepting the final result (church history from the perspective of Eusebius, for example, or for many contemporary theologians, the Reformation) and evaluating the various voices with respect to how close they come to the received orthodoxy. But Dunn comes at the question from another angle: would Peter, James and Paul have been satisfied with what happened in the second century (41)? To answer the question Dunn examines at length the Jesus tradition, the impact of James, Paul, Peter and John (in that rough chronological order). Choosing to start with James is an interesting methodological decision since Eusebius and the Reformation might choose to begin with Paul. Dunn thinks Paul is responsible for shaping the Jewish messianic sect (led by James in Jerusalem) into the international movement it would become. Despite being disciples of Jesus, both Peter and John are minor voices in the first century (if later traditions are set aside). The first three chapters of this volume set the stage by examining the sources available for the study of the post-apostolic period. In addition to the New Testament canon, Dunn surveys the Apostolic Fathers, the apologists of the early second century, Eusibius and the Heresiologists, and the New Testament pseudepigrapha (other gospels, letters and apocalypses). He observes most of the “spin off literature is much poorer in quality” than the material later recognized as canonical (183). For this reason Dunn ranks the Apostolic Fathers and Apologists as more important for tracing the development of early Christianity than “other” literature. The exception is the Gospel of Thomas which Dunn treats in his chapter on the reshaping of the Gospel of Jesus (John and Thomas). The next major section of the book concerns the development of the Jesus tradition from an oral gospel to the written canonical gospels of Mark, Matthew and Luke and finally John. Here Dunn revisits the thesis of Jesus Remembered, although this time from the perspective of how Jesus was remember in these written gospels. Dunn concludes the rich diversity of the Gospels (“same yet different”) indicates different lessons could be developed out of the same memories of Jesus. He illustrates this phenomenon in a chapter on how the Gospel of John and the Gospel of Thomas develop the Jesus traditions using two different strategies. Dunn traces the development of the Jesus tradition into the second century by examining how the Apostolic Fathers and the apologists used the written Gospels. He provides the data in the form of lists of quotations or allusions to each Gospel. For example, there are tables for the four Gospels as they appear in Justin Martyr. From this data it is clear Justin knew Mark but used the Gospel rarely and John only appears in a single allusion. Matthew is dominant, with a few citations of Luke and a few from the double tradition (so it is impossible to know if Matthew or Luke is in mind). The next section of the book consists of two chapters defining what Dunn means by “Jewish Christianity” and the so-called “parting of the ways.” Dunn observes it is more important to recognize the Jewishness of Christianity than to unravel the puzzle of various forms of Christianity which may (or may not) have been in competition with one another at the end of the first century (595). He examines (briefly) several Jewish groups which also followed Jesus, including the Ebionites, the Nazoraeans, the Elkesaites, the Pseudo-Clementine literature, and Syrian Christianity. In order to speak about the parting of the ways, Dunn outlines the reasons Christians may have wanted to be seen as separate after the destruction of Jerusalem and consequent Roman policy toward the Jews. The fall of Jerusalem also changed the way Judaism thought of itself, so that the beginnings of rabbinic Judaism can be found in the same events which motivated Christianity to define itself as “not Jewish.” This evidence supports Dunn’s contention Jews and Christians did not see themselves as separate until perhaps as late as the Constantinian settlement (673). The final major section in the book concerns the continued influence of Paul and Peter. As Dunn observes, of the three principle characters in the early church, James makes the least impact on the development of Christianity and Peter has been the focus of Catholic Christianity but left little impact on the New Testament (assuming 2 Peter is pseudonymous, probably 1 Peter as well, possibly rejecting Peter’s influence on Mark). This makes Paul the chief influence on the early development of Christianity and the so-called “second founder” of Christianity” (675). Even though he is a “contrary and troublesome figure in the history of Christianity” his contributions to the New Testament and their reception by the ensuing generations of the church are essential for understanding the development of Christianity (723). Dunn accepts the minority opinion that 1 Peter was addressed to Jewish Christians, but recognizes the Pauline influence on the letter (728). There is some backtracking in this volume, which is to be expected in a project written over a long period. First, Dunn returns to his first volume of the series in Part 11 by examining how the Gospel moved from oral tradition to the written Gospels. In a one hundred page chapter Dunn reviews some of his arguments from Jesus Remembered and the essays in The Oral Gospel Tradition (Eerdmans, 2013). Second, chapter 46 concerns the “parting of the ways,” a topic Dunn has discussed in his essay in the collection of essays, Jews and Christians: The Parting of the Ways, A.D. 70 to 135 (Eerdmans, 1999). But this is not unexpected since Dunn re-used material from his Epworth Acts commentary in Beginning from Jerusalem, for example. Given the massive scope of the project, using and updating previous work ought to be expected. It is perhaps ironic that, like the Gospels themselves, Dunn’s oral presentations became written essays which were then re-worked and edited and included in a final (canonical?) volume. Conclusion. 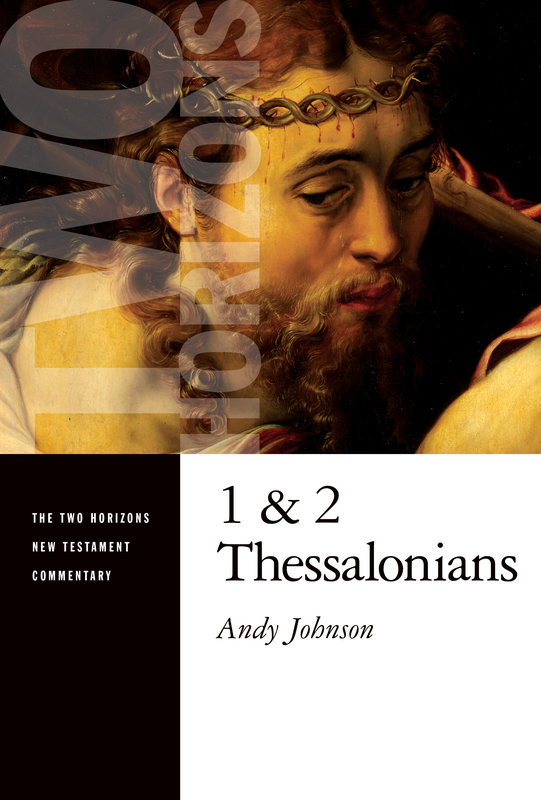 This volume is an indispensable resource for the study of the late apostolic period. Since Dunn takes into account many non-canonical texts he is able to trace the trajectory of the development of the Church from the oral tradition of Jesus Remembered, through the earliest written forms of that memory, to the interpretation of those memories by the next generations of the early Church.